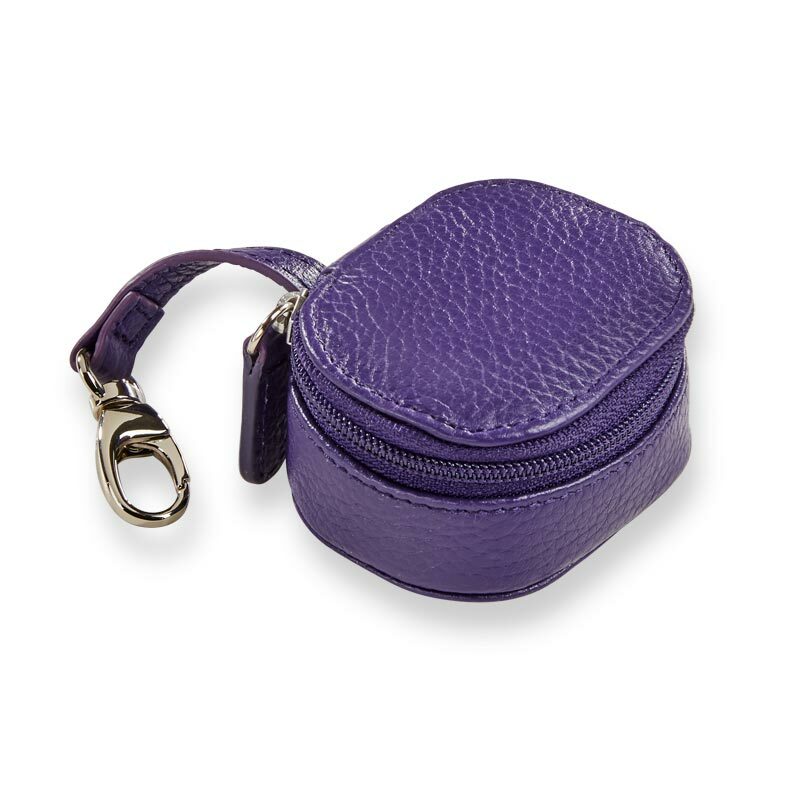 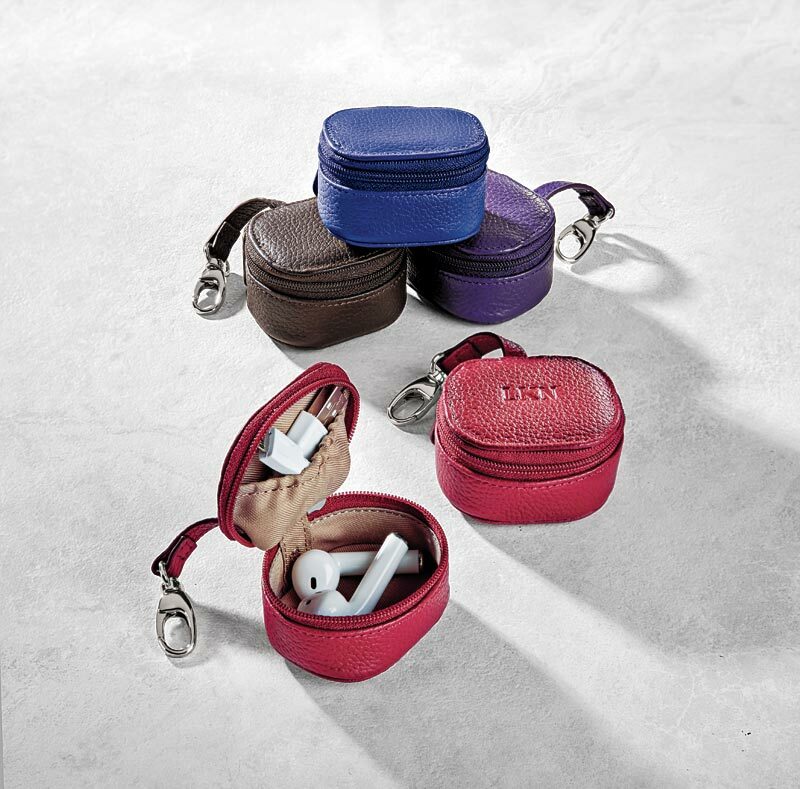 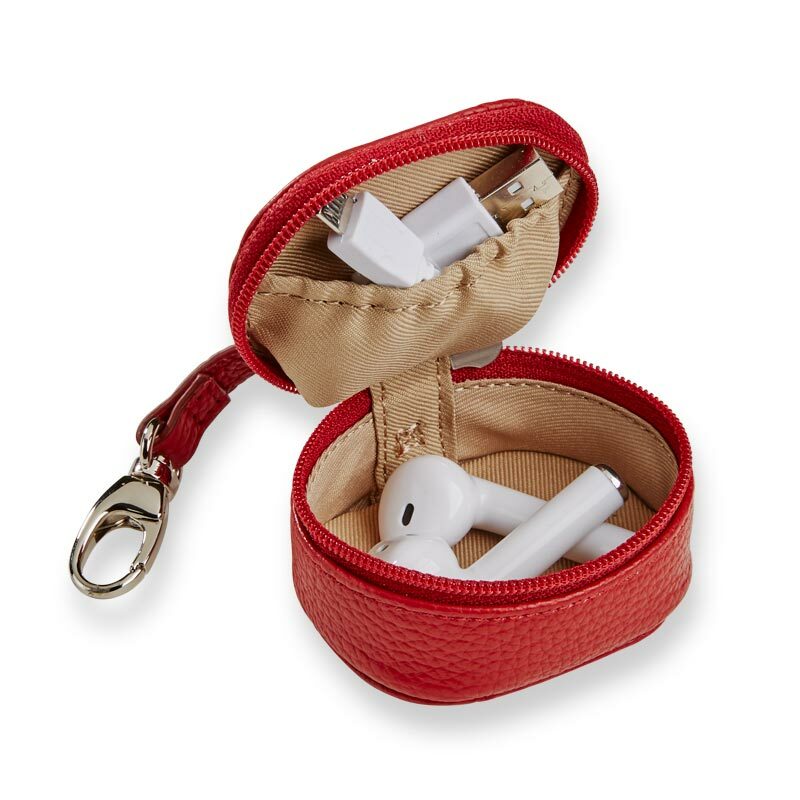 This zip-secure storage case crafted in full-grain cowhide leather was designed with the AirPods® in mind as the center accommodates the AirPods® case with a top stash slot to hold another small accessory. 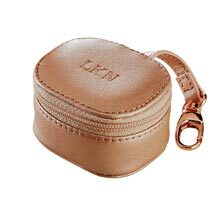 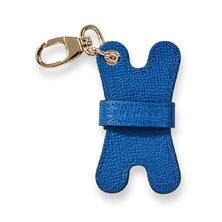 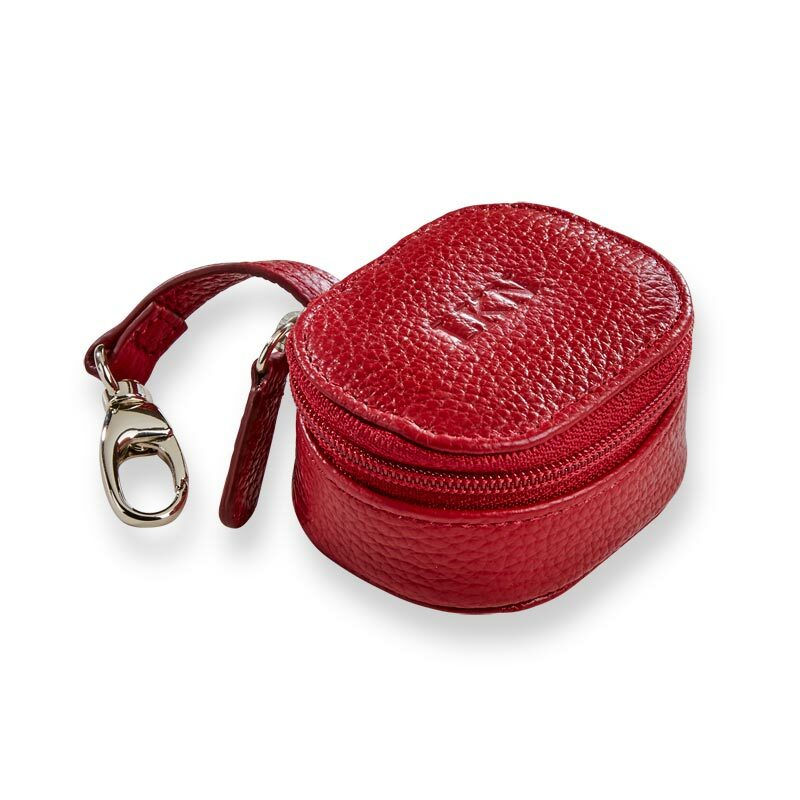 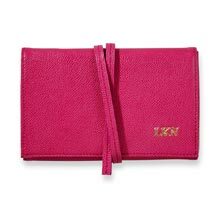 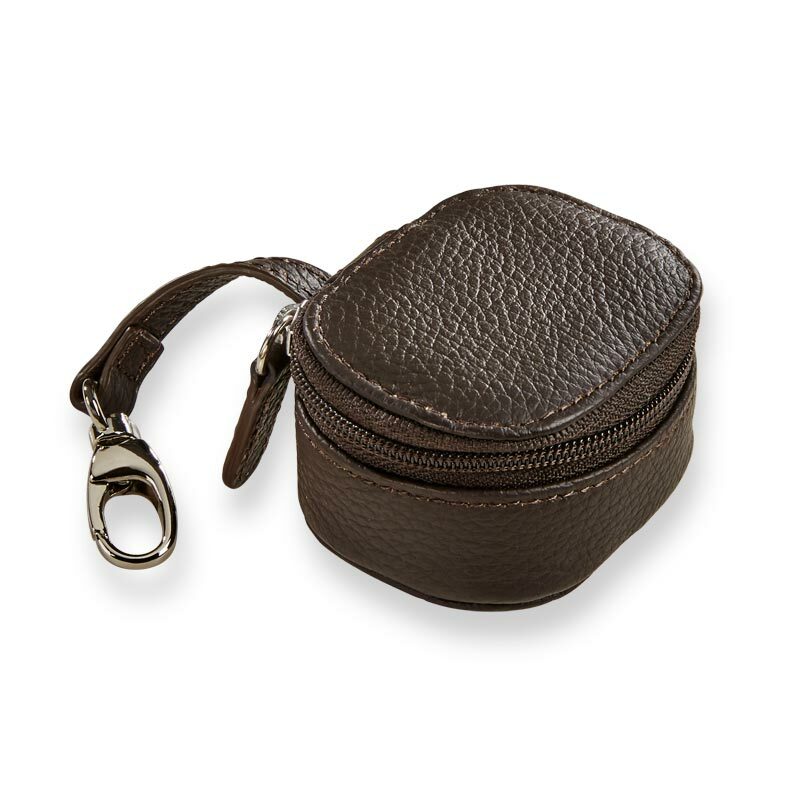 It is also perfect to hold coins, earphones, jewelry and other small items when traveling. 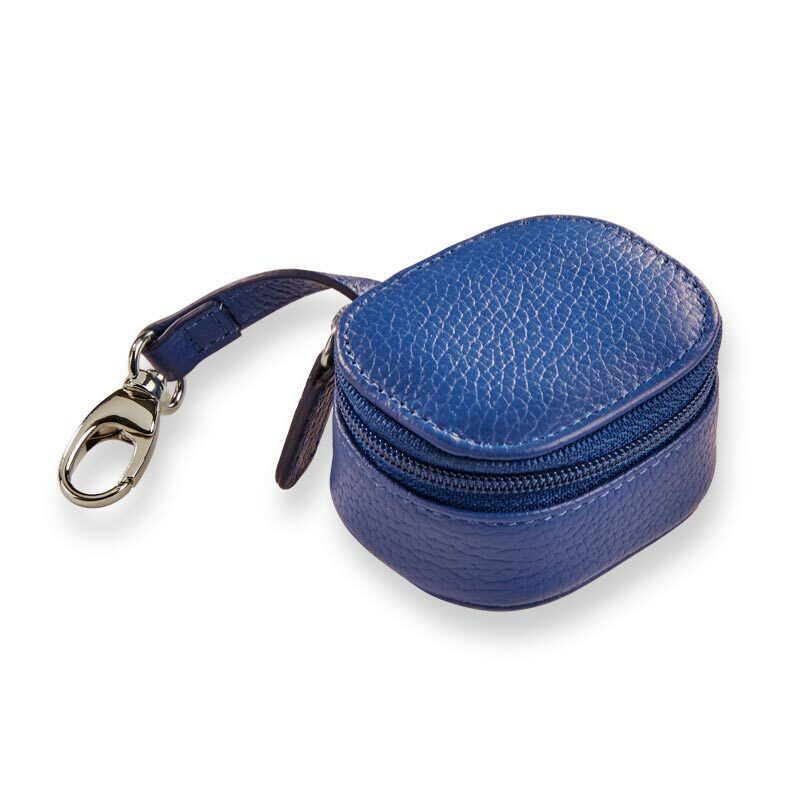 Available in blue, purple, berry or dark brown.